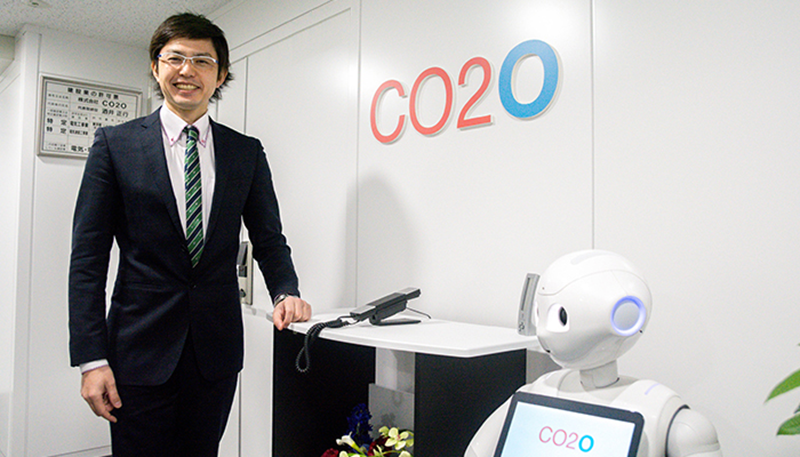 CO2O has been doing after-support of the world’s largest solar module makers, and has been evaluating and diagnosing numerous power plants in Japan as a group of professionals in the solar industry. Its high technical skill is recognized not only in Japan but also in the world, and we are continuing to challenge new business of renewable energy boldly by collaborating with partners in various countries such as China, Southeast Asia, India etc. In order to reduce emissions of CO2 and to enrich the future, we aim for self-thinking, pursuing high added value, and aiming to become a global company that flies to the world. Please expect it. After graduating from Waseda University, I got an MBA from the Globis School of Management. He became active in video related venture companies and became a director at the age of 25. Later, Mitsubishi Corporation’s leading optical disc manufacturing subsidiary, launched a new business for Hollywood makers and major record companies, founded Value Plus Corporation Value Plus. While taking charge of a number of new projects, we decided to create a business that will change the world with green business, witnessing the imminent situation in energy and environmental fields in developing Asian developing countries and emerging countries, and establishing CO 2 O in 2014 He took office as Representative Director.